Well didn’t do legs. Was warming up, stretching, before hand. Felt the strain in my hip flexor pop. And then some pain. Trainer was just shaking his head. We ended up seeing what other upper body I could tolerate besides arms. Single arm chest machine. Could only manage 20lbs on the left side. Probably going to be doing M/W/F for a while so it looks like the split I’ll be doing for a while. Bob, Brother, we gotta get you healthy! Is the hip flexor a new injury? Huy, kudos for keeping with it with all that's on your plate. ICT for this guy. My legs are f***ing killing me from yesterday, so I'll limp from bench to bench. 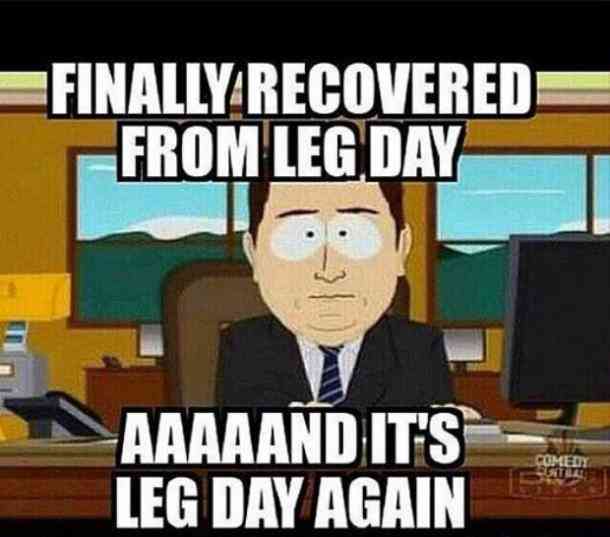 Yea, strained the upper quad, hip flexor area last leg day. I had to do that extra set of walking lunges. Damn, Bob, I am sorry. Thought that maybe I did something in my quad, I was limping all day yesterday and all day until I got to the gym. Seems to have untightened quite a bit, so hopefully it was just (good) muscle damage. ICT today, too much fun. Thanks man, time frames much smaller now. Upper yesterday. Actually enjoying it more than I thought. Too many young kids to fight over machines and weights. Legs didn't go great yesterday. Stopped midway through my 4th set of squats and again in my 3rd set of leg presses because of pain/cramping near the top of my right quad. This has been giving me some grief for a couple weeks now, but not enough where I had to stop. I wonder if somehow my stance is compensating in some way for the broken leg/displaced ankle? Need to figure it out. Ended the workout with numerous quad extension/hammie curl supersets to at least get some kind of volume in. A bit of everything today. Funny how different brands of machines work differently for the same exercise. At my regular gym, I can do maybe 60lbs on the tri pushdowns, but the gym I went to today, I was doing 70 and could’ve went up to 80 no problem. Same for chest machine. There is definitely a difference between machines from different makers, Bob. My thigh uncramped while working chest, it's weird how it will be hard to walk when I get to the gym, and be completely fine half way through the workout. Back day. Pre-fatigued with pulldowns before hitting the heavy rows. Off tomorrow, teaching all day. Legs Thursday or Friday, depends how the charley horse is feeling by then. Walked like an old geezer. Decided to give this charley horse a rest on leg day, and went cardio and core. Hit the Precor bike for 84 minutes, then core for another 30. Chest tomorrow. Back day....prefatigued with cables again, another nice workout.